ALGIERS, Algeria (AP) — A meeting of OPEC and its allies ended without any decision to further increase oil output despite President Donald Trump’s call for lower prices. 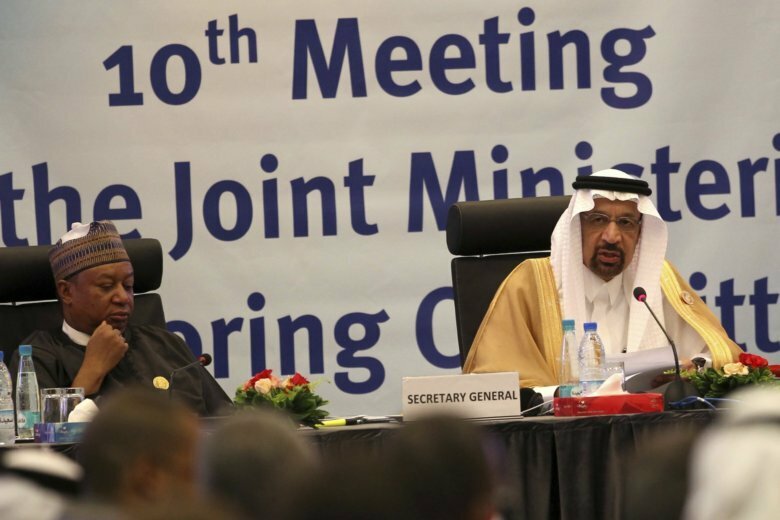 Members of the Organization of the Petroleum Exporting Countries met on Sunday in Algiers with non-members including Russia. “We protect the countries of the Middle East, they would not be safe for very long without us, and yet they continue to push for higher and higher oil prices!” he tweeted on Thursday. The price rise is notably caused by a recent drop in Iran’s supply because of U.S. sanctions. OPEC and Russia have capped production since January 2017 to bolster prices. Output fell below those targets this year, and in June the same countries agreed to boost the oil supply. Also Sunday, OPEC released its World Oil Outlook 2040 report. The cartel says that China and India will drive growth in energy demand through 2040, and that oil will continue to remain the biggest source of energy despite a global push for cleaner resources. Oil demand is forecast to increase by 14.5 million barrels a day to a total of 111.7 million barrels in 2040, driven by an expanding middle class and economic growth in developing countries. The U.S., which isn’t an OPEC member and has in recent years seen a renewed boom in shale oil, will continue to grow as a crude producer, peaking in the late 2020s. That suggests OPEC’s power to influence the market will be tempered by U.S. production for about another decade.